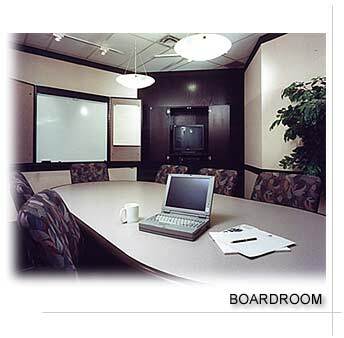 Located at the foot of the longest street in the world, Telsec Business Centre is located on the 18th and 19th floors of the historical Toronto Star Building. 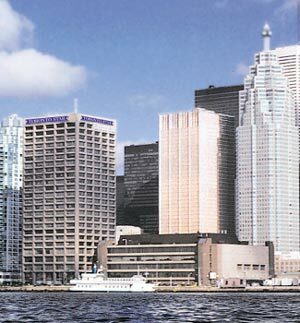 Our beautiful offices offer stunning views of the downtown Toronto Skyline as well as beautiful panoramic views of Lake Ontario and the Toronto Islands. 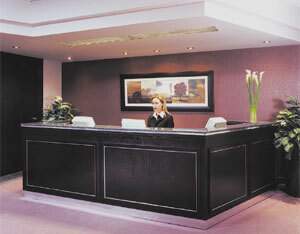 As soon as you walk in you will be greeted by our professional and friendly receptionist. Our well appointed centre is accented by mahogany woodwork, carpet and fresh flowers at the front reception area. State-of-the-art technology and an array of amenities will make sure you are equipped with everything you need to keep your business on track. We offer flexible terms along with reasonable prices in an unbeatable location. To better serve you, our professional staff are fluent in the following languages: French, Italian, Spanish, and Portuguese.